But someone—or something—is determined to stop Diago in his quest and will use his history to destroy him and the nefilim. Hearing his stolen Stradivarius played through the night, Diago is tormented by nightmares about his past life. Each incarnation strengthens the ties shared by the nefilim, whether those bonds are of love or hate . . . or even betrayal. To retrieve the violin, Diago must journey into enemy territory . . . and face an old nemesis and a fallen angel bent on revenge. 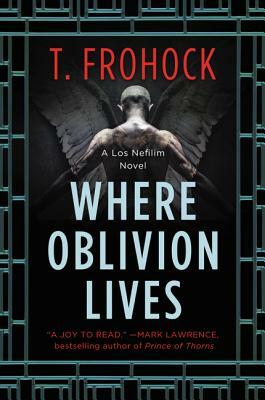 T. Frohock has turned her love of dark fantasy and horror into tales of deliciously creepy fiction. She currently lives in North Carolina where she has long been accused of telling stories, which is a southern colloquialism for lying. Check out more of her works and news at www.tfrohock.com.